Theresa Wong is a cellist, vocalist, composer and improviser whose training in classical music and design fused during a fellowship at Fabrica Center in Treviso, Italy where she recognized the possibility of transformation in performance through improvisation and the synergy of multiple disciplines. 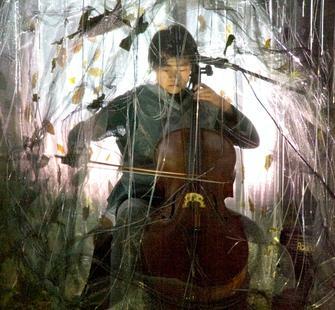 Her recent projects include: O Sleep, an improvised opera which explores the conundrum of sleep and dream life and The Unlearning, a collection of songs for cello, violin and two voices inspired by Goya's Disasters of War etchings to be released on Tzadik Records in September 2011. Wong has collaborated with such artists as Fred Frith, Luciano Chessa, Joelle Leandre, ROVA Saxophone Quartet, Carla Kihlstedt, Ellen Fullman and dance pioneer Anna Halprin. Her performances have been included at the Fondation Cartier in Paris, Yerba Buena Center for the Arts in San Francisco, The Stone in New York City, Festival Internacional de Puebla, Mexico, Unlimited 21 Festival in Wels, Austria and Radio France broadcast, A L'improviste.